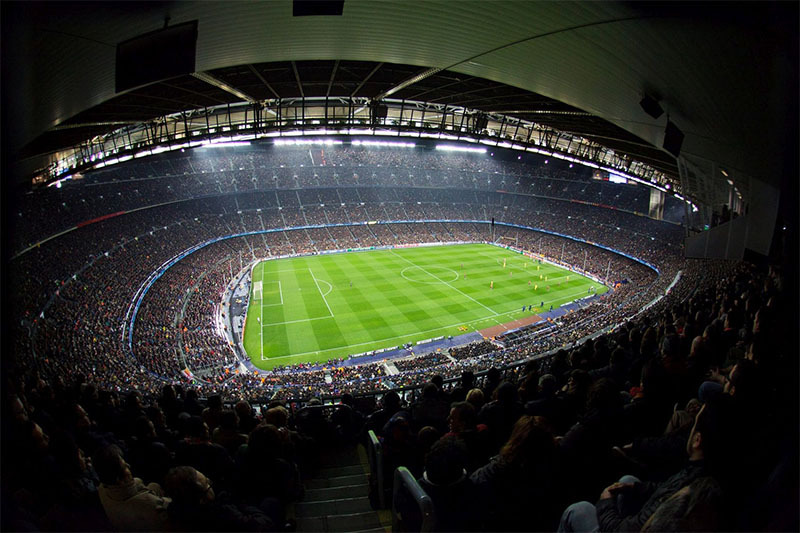 Barcelona vs Manchester United will take place at the Camp Nou in Barcelona. When the Ant crawled into the cavernous Camp Nou, many expected him to be swallowed by the sheer magnificence of his surroundings. Ernesto Valverde’s demeanour and general outlook on the game is not expansive, so to arrive in the capital of Catalunya and continue his brand of football has been a bold approach, to say the least. Many clubs claim ownership of their own brand of football, which more often than not looks remarkably similar to most others, and fans universally slaughter the figurehead on the bench if this ideal is in any way not respected. If you choose not to regurgitate the soul of Johan Cruyff’s philosophy, you have to back it up. In fairness to Valverde, he has. He has managed to marry the freakish individual vision of arguably the greatest player of all time with some incredibly varied personalities and styles. Philippe Coutinho, for example, has traded places with flying Frenchman Ousmane Dembélé when the latter has been out of form, out of favour or injured, and yet the two could hardly be more different left-wing options. The ₤140-million former Liverpool star has struggled to find his place amongst the galaxy of stars glittering around him at times. When control of the middle has been called for, though, the Brazilian has flickered into life. 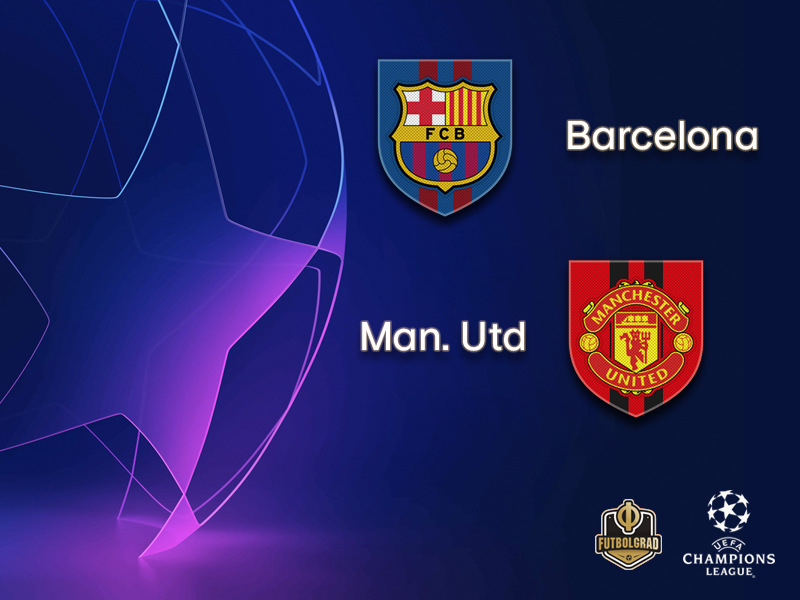 At Old Trafford, despite the consistent possessional advantage, Barcelona were on the back foot for a good part of the match in terms of situational superiority. The fact that Arthur Melo – so often the conduit for transitioning play from defence to attack – was hauled off after an hour or so testifies to this to an extent. Only Clement Lenglet registered a higher proportion of their total passes forward, and yet during his time on the pitch, Barcelona only had three shots on goal. Experience Champions League football live! Book your European football travel now by visiting Nickes.com! Of course, the flow of the second leg is almost certainly going to be very different. With almost the entire first-choice XI rested for the 0-0 draw away to bottom club Huesca at the weekend, the priorities could not be clearer. With a nine-point advantage over nearest challengers Atletico Madrid with just six matches remaining, it is of little wonder that La Liga holds next to no importance at this stage of the season. Nevertheless, there was still a hint of respect to the professionalism they must still show to finish the job off. Ole Gunnar Solskjær also rotated his side significantly in their shaky 2-1 win at home to West Ham on Saturday. To see academy product Scott McTominay genuinely rested was a vote of extreme confidence in the young man’s capacity for taking on one of the most awe-inspiring cathedrals of world football. In light of Ander Herrera’s departure for Paris Saint-Germain in the summer, McTominay has an even more solid platform to put his case forward as the midfield general to lead United forward. The honeymoon period has worn off since Solskjær’s liberation of the stifled, Mourinho-oppressed squad, and yet he has still shown enough tactical nous in the most improbable circumstances. The historic 3-1 second-leg comeback win in Paris – the first time ever a side has overturned a two-goal margin from a first-leg home defeat since the Champions League was rebranded in the early 1990s – was a masterclass in using the key elements available to maximum effect. The progressive passing abilities of former Shakhtar Donetsk man Fred, McTominay and Andreas Pereira wouldn’t have been chosen by many, but it allowed just enough of an outlet to escape intense Parisian pressure. The suspension of Luke Shaw is a major blow to the shape of United’s counter-attacking plans though. Having come through a demeaning period of almost ritual humiliation under previous managers, his energy and intelligence in defensive transitions has been a critical part of Solskjær’s philosophy. In possession, he has become an efficient distributor and a go-to option on the left flank. It is likely veteran winger-turned-defender Ashley Young will have to deputise, but his recent performances have shown he is an area that can be targeted for Barcelona. One slither of comfort United can take from the first leg is that there is only a one-goal disadvantage to overcome. The away-goal status is irrelevant in the circumstances as their task remains the same – they simply must score whatever happens. Another glimmer of hope is the knowledge that they have shown they know how to exploit possession-dominant sides away from home under pressure. Many of Barcelona’s greatest strengths are also their greatest weaknesses – Jordi Alba’s flying raids down the left, Lenglet’s ball-playing instincts, Messi’s hunger to drop deep in search of possession – if you know how to take advantage of them. 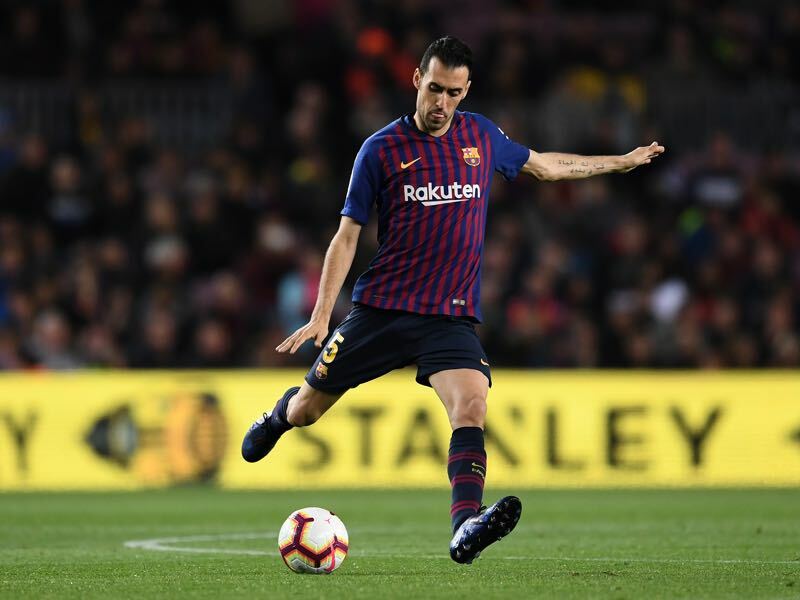 As the often unheralded lynchpin – relative to his more glamorous, illustrious teammates at least – of Barcelona, Busquets has the metronomic discipline to hold the entire side together. At times this season, Ernesto Valverde has deployed his Croatian sidekick Ivan Rakitić alongside him, and at others in more advanced positions; a more conservative 4-4-2 setup has frustrated opponents, the classic Barcelona 4-3-3 has torn most apart. Whatever is going on around him, Busquets has maintained a remarkable consistency. In the first leg, for example, he didn’t make a single pass in the right-hand third of the pitch. English observers may have frothed at the cynicism of his tactical foul after just quarter of an hour at Old Trafford. However, the La Masia graduate held his nerve for the remainder of an intense European match, offering protection for the defence. The almost unstoppable fluidity of Barcelona’s attack could be worthless if the likes of Clement Lenglet – who looked unsteady when under pressure in the first leg – and the marauding Jordi Alba are not shielded by Busquets. The hulking Belgian’s path at Old Trafford has been a winding one with more strife than success. Ever since exploding onto the world’s conscience as a raw 16-year-old at Anderlecht, his game has been centred around brute strength, pace and confidence, and yet as a Manchester United player his touch, movement and assuredness has deserted him for large periods. Under José Mourinho he was played rather unimaginatively as a lone striker with his back to goal, which is not a role he naturally excels in; instead, under Solskjær, he has been used either alongside a strike partner or out wide where he can dominate full-backs and turn to face goal more regularly. It goes without saying that United will enjoy even less possession at the Camp Nou than they did at home. One of the key outlets in the first leg was Lukaku. His flexibility will be key to unsettling a Barcelona backline that is highly likely to be imbalanced in transition due to the fluctuating habits of the four men. Last week he made just three touches in the penalty area, all of which were wide of the six-yard box, with his more telling contributions coming deeper and wider. 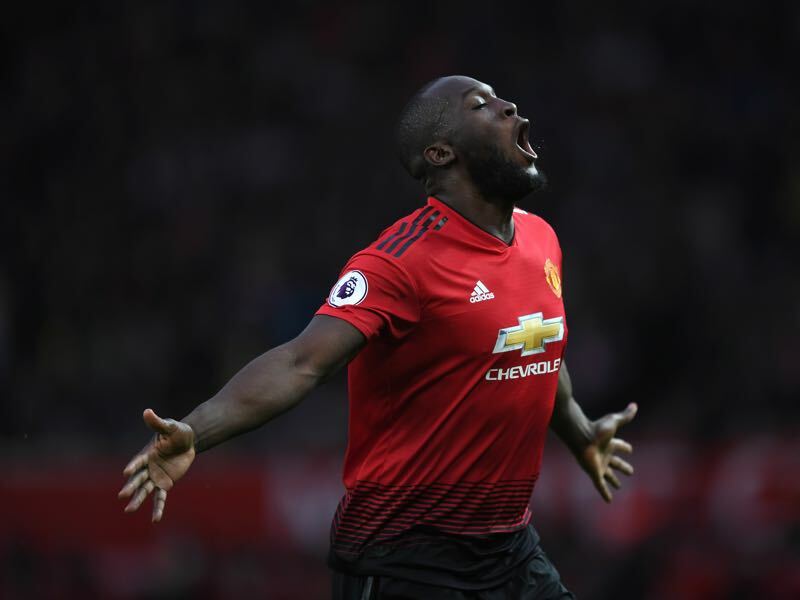 Purists might prefer to see the raw pace of Anthony Martial, Marcus Rashford and Jesse Lingard go hell for leather at the opposition, but the smart move would be to exploit Lukaku’s newfound role. Barcelona’s narrow first-leg victory in Manchester last week was their first knockout win away from home (D2, L4) in seven attempts. Barcelona have never lost to United in the Champions League at home in four meetings (W2, D2). The Catalan giants are unbeaten in 30 Champions League home games (W27, D3), losing just once in almost a decade since Rubin Kazan famously won in October 2009. Manchester United have won just two of their last 16 matches against Spanish opposition, but have lost just twice in 10 visits to Spain. They are only the fourth side to come back from a first-leg home defeat in the Champions League era. United have scored nine goals in their last four Champions League away games.